The Deep Run To Vegas, released by the Russian Lilith label, features a selection of tracks from the albums Mysterious Semblance At The Strand Of Nightmares and Run To Vegas (both 2010) by the same label. Unlike these two sets, The Deep Run To Vegas consists of a vinyl album only, there is no additional CD. 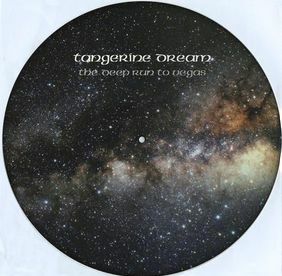 All tracks had been initially released on The Electronic Magic Of Tangerine Dream (2008). Hence, this compilation does not contain any new material.